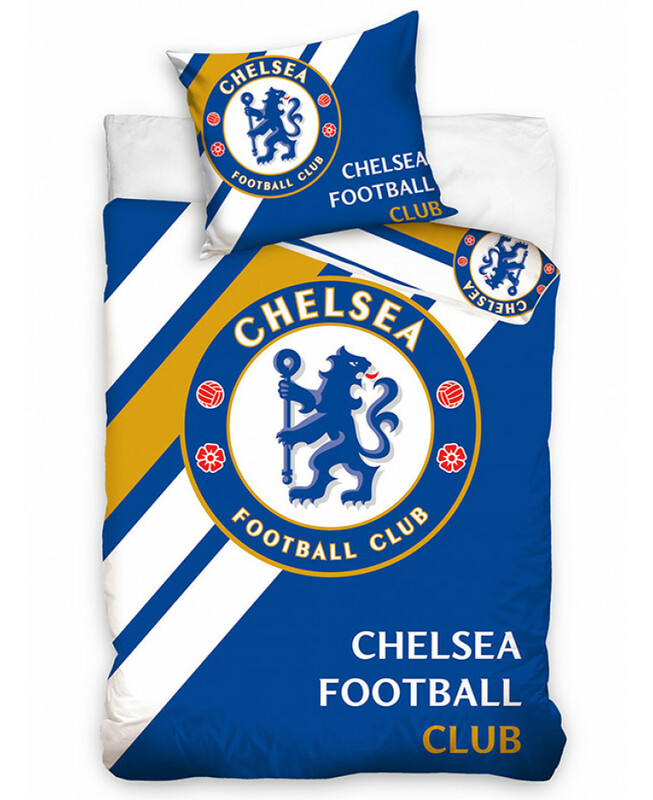 This fantastic Chelsea FC Stripe single duvet cover set is the perfect item for all die-hard Blues fans! The duvet cover features the iconic club crest in the centre of a dark blue background, with wide diagonal white and yellow stripes across one side and a coordinating design on the reverse. This item is made from 100% cotton and can be machine washed.